This site does not endorse the following Watchtower quotes. They are simply presented to show what the Watchtower teaches regarding the following topic. End "Soon", "Imminent" or "Shortly"
For over 100 years Witnesses have been constantly told that the end is soon or imminent. The American Heritage Dictionary provides a definition of soon as "In the near future; shortly" and imminent as "About to occur". Has the Watchtower accurately included these terms when over 100 years have past since they first started being used? 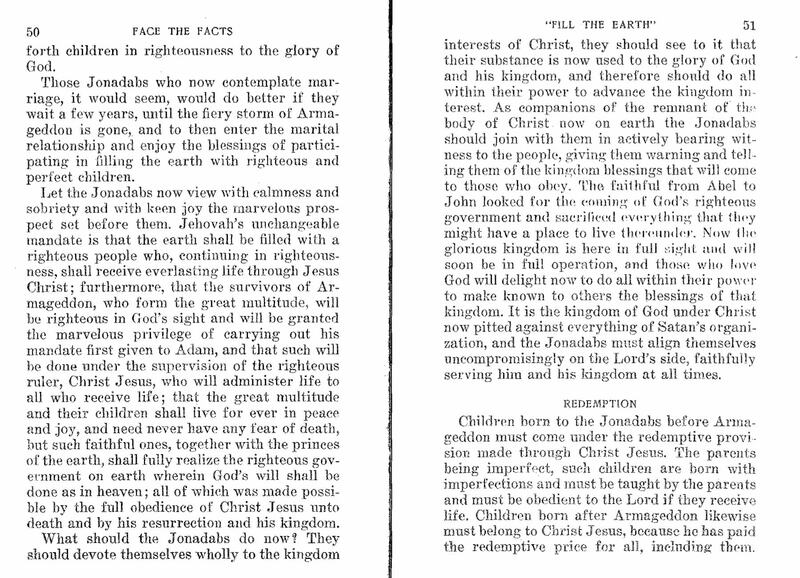 "And from the prophets we learn that this kingdom is soon to be established in the earth; …"
"The Scriptural evidence and the physical facts strongly indicate that such witness work is now almost done, and when it is done the universal war will begin. Universal war is absolutely certain to come, and that soon, and no power can stop it.... During the few remaining months until the breaking out of that universal cataclysm the powers that rule the nations of the earth will continue to make treaties... They will continue to persecute and oppose Jehovah's witnesses who are trying to get the truth to the people"
"It is not for them to know just how soon the curse will fall, that is to say, just what hour or year Armageddon will take place. They certainly know that it cannot be far removed from the present day, because that work marked out for them, and which they are doing,immediately precedes Armageddon"
"Yes, the present system of things is soon coming to its end!" "The United Nations belongs to this old world, which is facing a disastrous end very soon." "Very soon the world empire of false religion, Babylon the Great, will come to its destructive end." "They trust that Jehovah God will soon bring a speedy end to all wickedness in his war of Armageddon." "To settle the issues Satan raised, God will soon bring an end to all wickedness." "And very soon, Jehovah will end poverty and oppression-in fact, all suffering"
"Soon this wicked system of things will end, and the Messianic Kingdom will take full control of mankind's affairs." "Very soon, Bible prophecy shows, God will bring this vicious, cruel system of things to an end:"
"We are living in the days of the seventh head. No more heads will appear on this beast before it is annihilated. The Anglo-American World Power will be the dominant world power when false religion is eradicated. The prophecies of Daniel and John have been fulfilled to the smallest detail. We can be confident that the destruction of false religion and the battle of Armageddon will soon come. God has revealed these details in advance. Will we pay attention to the prophetic warnings? (2 Pet. 1:19) Now is the time to take sides with Jehovah and to support his Kingdom." "What events similar to those in 66 C.E. will we soon face?" "Until this “short period of time” allotted to the Devil runs out, that wicked rebel is bent on using every means at his disposal to divert us from our course of remaining steadfast in our integrity to Jehovah." 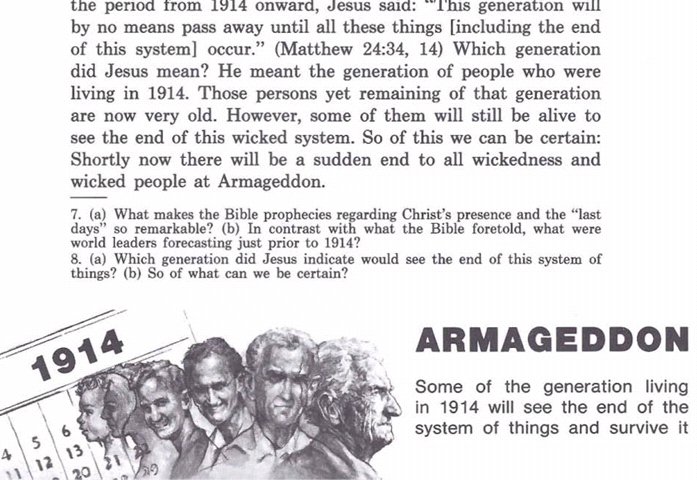 "Shortly now there will e a sudden end to all wickedness and wicked people at Armageddon." "To be sure, no man can say precisely what day or yearJehovah’s battle at Armageddon will be fought, but it is easy to be seen that now conditions among the people are such as to indicate that a great crisis is near. ... God’s kingdom has begun to operate. His day of vengeance is here, and his terrible battle at Armageddon is near and certain to fall upon 'Christendom', and that within an early date. God’s judgment is upon 'Christendom' and must shortly be executed...."
"All witnesses for the Lord must be unusually diligent to carry the truth to the people now, and this work must becompleted before Armageddon, which will follow shortly after the Hierarchy has reached the zenith of its arrogance and power"
All the facts show that Armageddon is only a short time away, and that period much less than the length of a generation. 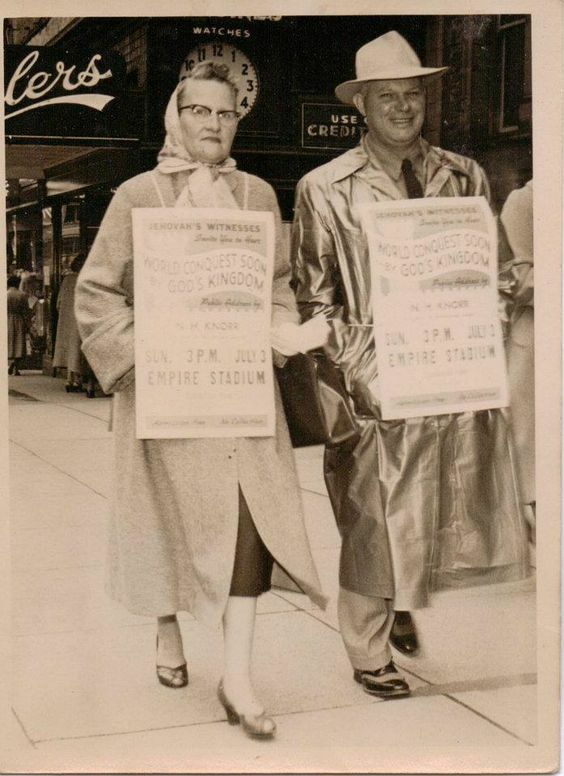 "In 1940, Lloyd's mother visited Australia, and Lloyd told her that we were thinking of marriage. She advised him against it because the end of the system of things seemed imminent." "God's heavenly Kingdom was established in the hands of Jesus Christ in 1914, and we are now proclaiming the message of hope with more urgency than ever before. Why? Because among the blessings of Kingdom rule is the imminent end of the present wicked system." "Because the end of this system of things is imminent, and problems are more pressing than ever." "So how can anyone be sure that Jehovah's Witnesses are right in announcing the imminent end of the present world system and the extension of God's Kingdom rule over the earth?" "But now, by occurrence of every detail of the great sign Jesus gave, we know that we face the imminent end of the present world system." "Just now, all the nations of the world are fast approaching the most terrible crises of their national existences. In a great time of unparalleled trouble, which is even now imminent, they are about to reap what they have sown. They have sown to the wind the seeds of selfishness, and now they are about to reap the whirlwind of terror and the destruction of all law and order, and of national and social organization." "Receiving the gift, the marching children clasped it to them, not a toy or plaything for idle pleasure, but the Lord’s provided instrument for most effective work in the remaining months before Armageddon"
"Those Jonadabs who now contemplate marriage, it would seem, would do better if they wait a few years, until the fiery storm of Armageddon is gone"
"Not only is the life of all children endangered by the nearness of Armageddon, but their eternal destiny is involved." "It is quite evident that the witness work is near an end in continental Europe, and this is further proof that Armageddon is near at hand.... One brother writes: ’Jehovah knows that our company had not a sound-car. It is doubtful if we shall have it before Armageddon. For that reason he has blessed our company with more than usually strong rowers, and boats, and provided us with a territory very rich in lakes' "
" 'The year 1940 is certain to be the most important year yet, because Armageddon is very near.' It behooves all who love righteousness to put forth every effort to advertise THE THEOCRACY while the privileges are still open"
"The Watchtower clearly proves that Armageddon is not far off. It therefore behooves all of the anointed and their companions to work with even greater diligence than ever before while it is still day. There is no time now to slack the hand. "Whether it shall be the Lord’s will that another Yearbook be published before Armageddon, of course, no one can say. What the immediate future holds it would be unwise to try to predict. All the surrounding circumstances, however, indicate that the battle of Armageddon is near at hand, which means the end of wickedness in the earth and the full ushering in of righteousness.... The trying experiences of the year past, the persecution and reproach of God’s people by the enemy, and which persecution daily increases, testifies that we are near Armageddon and that soon we shall see a complete change. The present time is the day ’when the wicked spring up as the grass, and when all the workers of iniquity do flourish’. Never at any time has there been such wickedness and lawlessness against Christians in America as today....Comfort and aid those of good-will. The day of deliverance is near!" "That the day of final settlement of the rulership of the universe is here and that the issue will be settled at Armageddon, which is near; that all nations of the earth are rapidly assembling for that conflict,..."
"We can wait patiently, although not without interest and deep concern, for the development of God’s great plan of the ages, now so near its consummation." When may we expect the Theocratic Government to rule? Satan's time is up, and Jehovah has now enthroned Christ Jesus and sent him forth to rule while the enemy still stubbornly holds on and refuses to vacate. (Psalm 110:2; Revelation 11:18) What, then, must quickly follow? The Scriptures answer, Armageddon, the battle of the great day of God Almighty.